When we talk about the benefits of exercise, too many times we tend to focus on aesthetics. To look good means to exercise and to shape our bodies in a way that pleases someone else means we need to exercise. However, exercise is good for our physical and mental health. It’s not only about looks. Many people recognize the mental health benefits of working out. If you have read anything about the benefits of exercise, you probably heard the term “endorphins” which are released with exercising. Endorphins are linked to all the positive impact that exercise has on our brain. And the best workout for mental health is hiking. With hiking, there are many mental health issues that you can relieve, from insomnia and depression to anxiety and stress. Mental health issues affect millions of people around the world. Given that many of us spend our days behind computers or in front of the TV, getting out there in nature is important for your mental health. 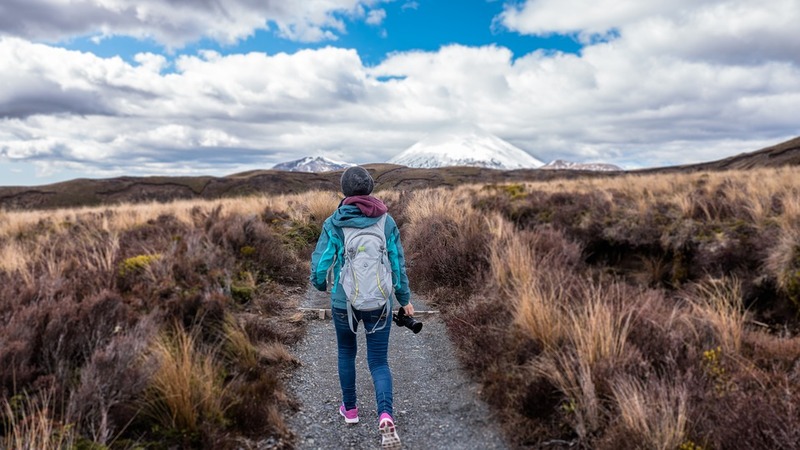 Hiking reconnects us with nature while getting our hearts pumping and causing a burst of dopamine, serotonin and GAB secretion. So, next time you feel stressed and anxious, go for a hike alone or with your loved ones. It will make all the difference. Researchers in India posted the following question: Would you rather have your government provide you services or give you cash? Studies have found that most of the cash government gives to the poorest is spent on food, housing or education. Also, researchers have found that those who receive social help from the government are not more prone to drugs and alcohol as some skeptics believed. However, the poor people of India would rather receive services from their government such as health care services rather than cash. In the research, Stuti Khemani, Irfan Nooruddin, and James Habyarimana asked 3,800 people this question. They were also asked to choose between cash and infrastructure such as roads, and between cash and public health services and nutrition. The participants favored investment in public services over cash. Only 13% of participants chose cash over public health, and 35% choose cash over infrastructure. It is important to stress that even the poorest would prefer for their communities to have parks, roads, and public buildings rather than receiving cash. In 2014, the #NoMakeupSelfie movement took social media by storm. What started as an effort to raise money for cancer research turned into a phenomenon which liberated many women around the world to be free from make-up and beauty ideals. The campaign raised millions of dollars and many celebrities participated, from Beyoncé to Gwyneth Paltrow. Researchers from Macquarie University in Australia designed an experiment to study the psychological effects of no-makeup selfies. They had 175 female undergraduate students take part in an experiment. Researchers showed to three different groups photos from Instagram: #NoMakeupSelifes group, photos of women with make-up and a control group was shown neutral images from Instagram. Needless to say, that seeing beautiful people who look perfect had a somewhat negative impact on the viewers overall self-esteem. This only proves the impact of social media: a positive and negative one. We should all think twice before following a popular make-up artist unless she or he has the occasional no-makeup selfie which will make us feel better about ourselves, more normal and more human.